In a burgeoning city like Toronto, the view from the top is always impressive — just ask the 1.5 million people who ascend the CN Tower each year. High-priced, high-altitude penthouses have become their own niche market, with buyers seeking to own their own piece of the skyline. On the corner of Yonge and College, the aptly named YC Condos is set to become one of the tallest residential towers in the city. 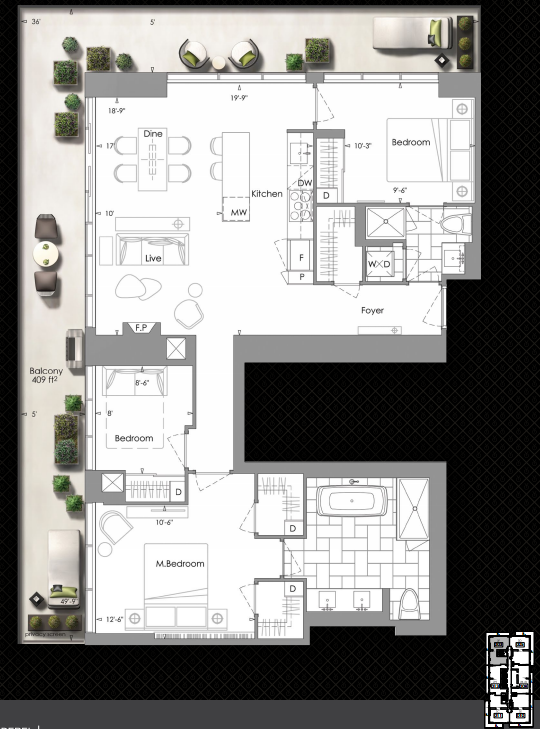 Its 3F penthouse boasts three bedrooms, two full bathrooms, 10 foot ceilings and a gas fireplace. The beauty of its corner location and wrap-around balcony is that it offers panoramic views of the downtown core and Lake Ontario. Don’t have a couple million dollars lying around to buy and furnish the place? Take this virtual reality tour instead. Highlight: The luxurious, freestanding bathtub in the master bathroom.